In the days of Ancient Greece, Corfu marked the final stage of the legendary trip made by the mythological Greek Hero, Odysseus, on his journey home to Ithaka. This tour will certainly give you a chance to discover the lush countryside of Corfu as you enjoy a scenic drive through the island to the village of Gastouri. Here in this quaint traditional village Empress Elisabeth of Austria, who was affectionately known as Sissy, constructed the architectural wonder of Achilleion Palace. An admirer of the classical Greek Hero Achilles, she named the palace after him. 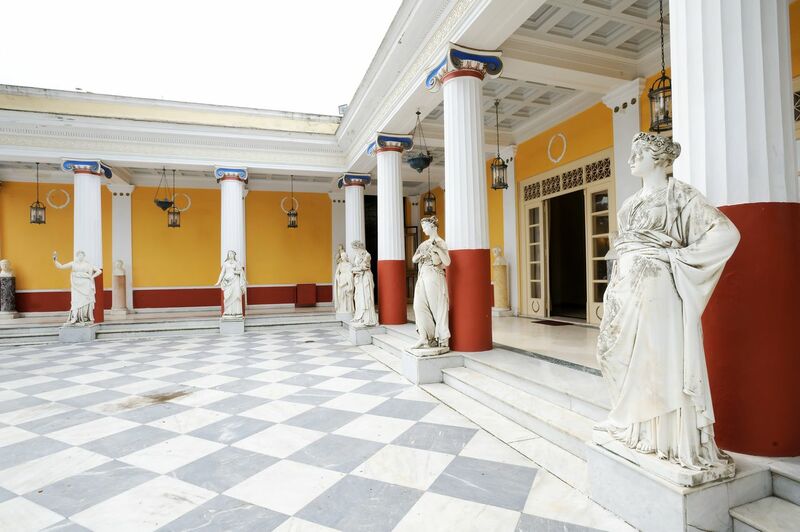 You will discover the lush frescoed rooms of this neoclassical white mansion. You can also enjoy the Italian terraced gardens with views over the town and the coast. Fine sculptures are dotted around the gardens, many of which feature characters from the Greek mythology, including Achilles. Continue you scenic drive to your next visit stop at Mon Repos Palace, built in 1828 for the second British High Commissioner of the Ionian Islands, Sir Frederic Adams.The second son of King George I, George II, was born here in 1869, and the Duke of Edinburg, Prince Philip, was born and baptised here in 1921. 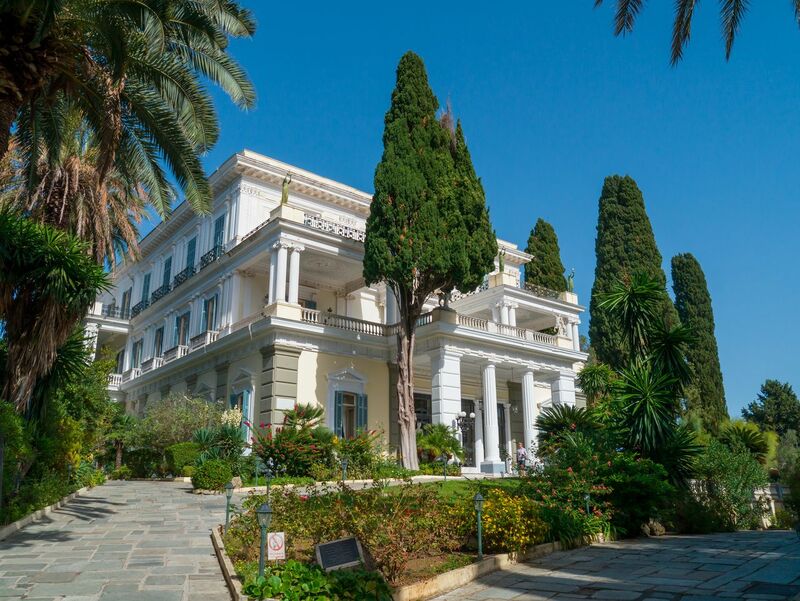 The Greek Royal family used to spend their summer holidays at Mon Repos, hosting illustrious guests such us Tito of Yugoslavia, Haile Selasie of Ethiopia and Nasser of Egypt. At the end you will visit Corfu Town, inscribed on Unesco's World Heritage list as a fortified Mediterranean Port town of high integrity and authenticity, and guests will discover many interesting sites such as the city's 14th century Venetian Old Fortress, St. Spyridon Church, protector of the island, the charming narrow alleyways of the old Venetian town, the famous Esplanade Square-one of the largest in Europe, the elegant Liston -where access in the past was only allowed to the arisytocracy of Corfu, the Dimarchio or Town Hall and the imposing Palace of St. Michael and St.George. 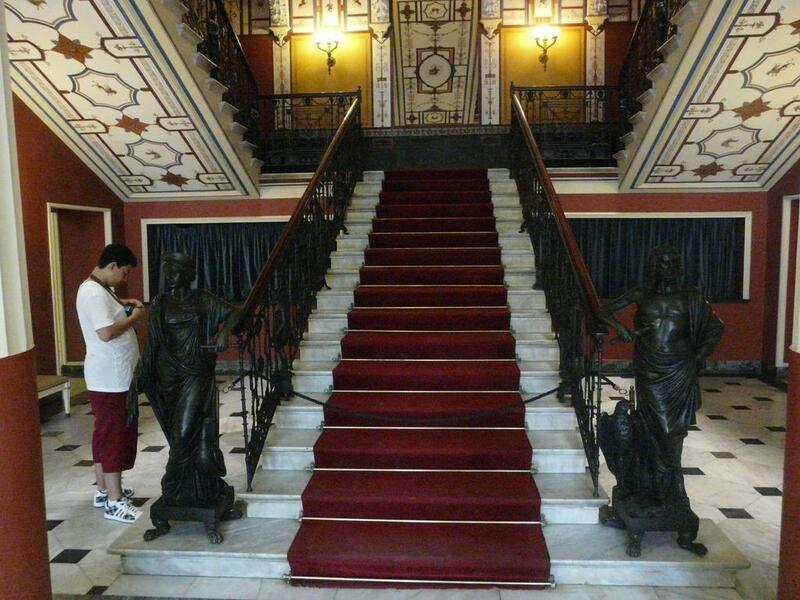 Before returning to the bus you will have some time for shopping and strolling in Corfu town. On returning to the Port guests will have the chance to see the old Port with traditional caiques-fishing boats and the New Venetian Fortress.